I Like Jack Russell Terriers unisex cotton tee features Jack Russell's doing all of the things we love them for including jumping, running, howling, barking, digging, entertaining us, and waiting for us. 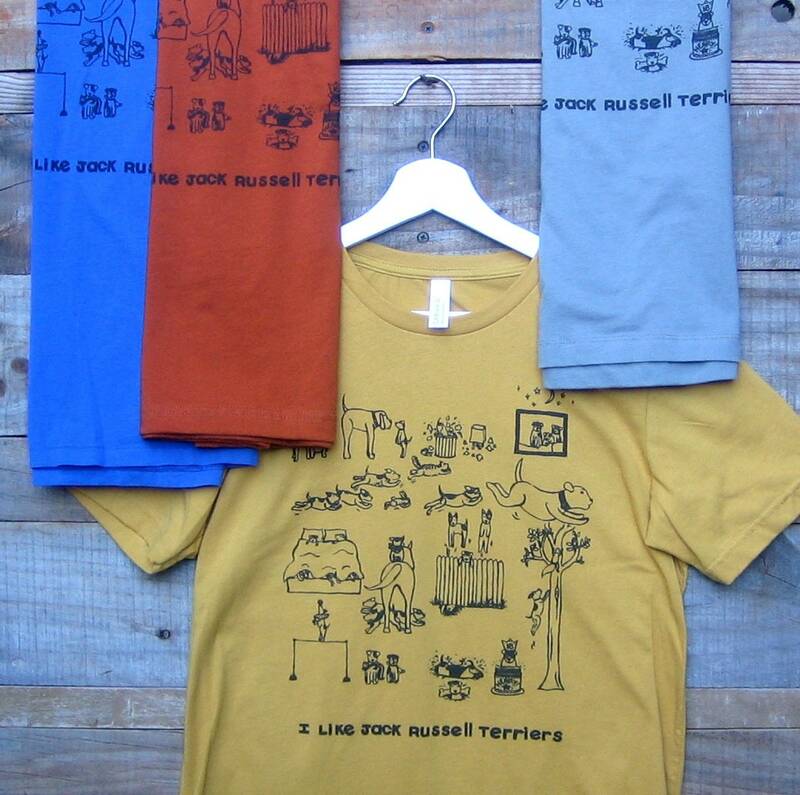 Printed on soft cotton unisex T Shirts in Mustard, Blue, Cement, and Autumn. Limited sizes in each color.